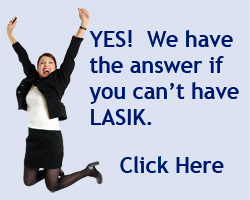 Prior to the implantation of the Visian ICL, you will receive topical anesthetic drops. You will also receive some relaxing medicine. 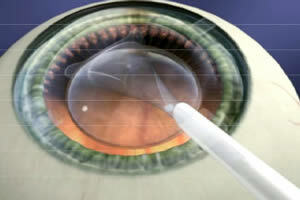 First, a microscopic incision will be made where the white of your eye meets the colored part. 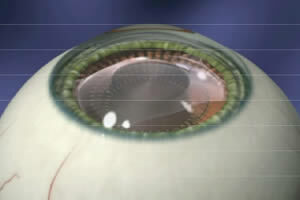 Second, the flexible ICL will be folded and slipped into your eye. Finally, the ICL is positioned behind the iris where it stays. That's it!. Because the incision made is microscopic it will heal naturally in a very short period of time without needing any sutures. 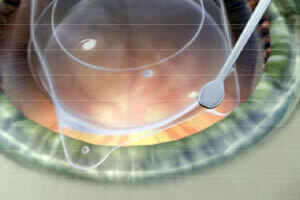 Implanting the Visian ICL is an outpatient procedure, and takes about 15 minutes. About one hour after the procedure you will be able to leave the clinic.